Ukrainian Map Server Click here to see a map showing Zhitomer Oblast where Pavoloch is located 30 km SE of Zhitomer and about 63 miles SW of Kiev on the Rostovitsa River (Dnieper Basin). from the Slownik Geographiczny Krolestwa Polskiego i innych krajow slowianskich (Geographic Dictionary of the Former Kingdom of Poland and Other Slavic Lands c. 1886) translation donated by Richard and Karen Spector and other Pavolochers (4/21/03). Donations welcome. Pavoloch is first known to have existed at the beginning of the 17th century. 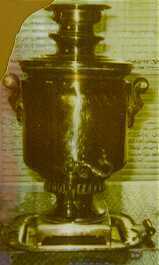 In 1736 the Haidamacks carried out a pogrom in Pavoloch, massacring 35 Jews and engaging in plunder. Records of 1765 show 1,041 Jews as paying the poll tax in Pavoloch and its vicinity. Jews numbered 2,113 in 1847, and in 1897 the number rose to 3,391 42% of the population. (EJ) In 1910 the population was 15,454 including 3,686 Jews. (Richard Spector from a Slownik Geographiczny Article about Pavoloch.) 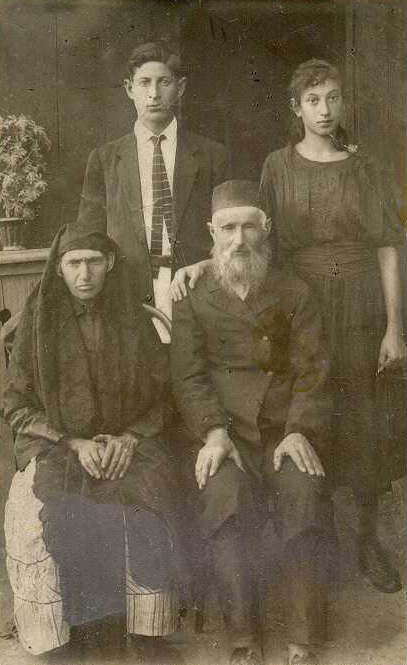 During the Civil War (of 1917-1919) the shtetl declined and most of its inhabitants left. 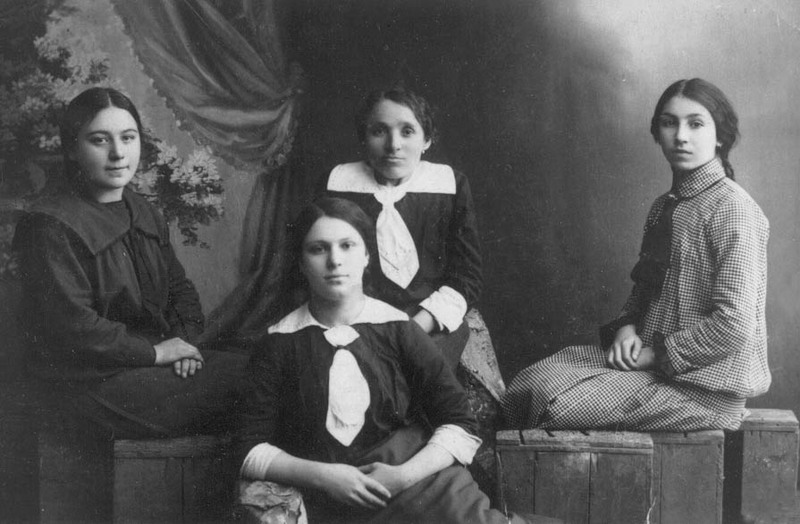 Jewish residents numbered 1,837 (88.2% of the population) in 1926. 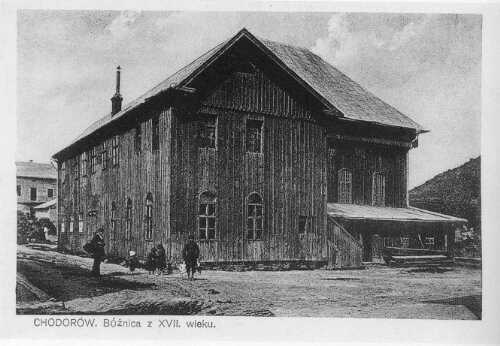 The Jews who remained in Pavoloch during the Nazi occupation in World War II were exterminated. 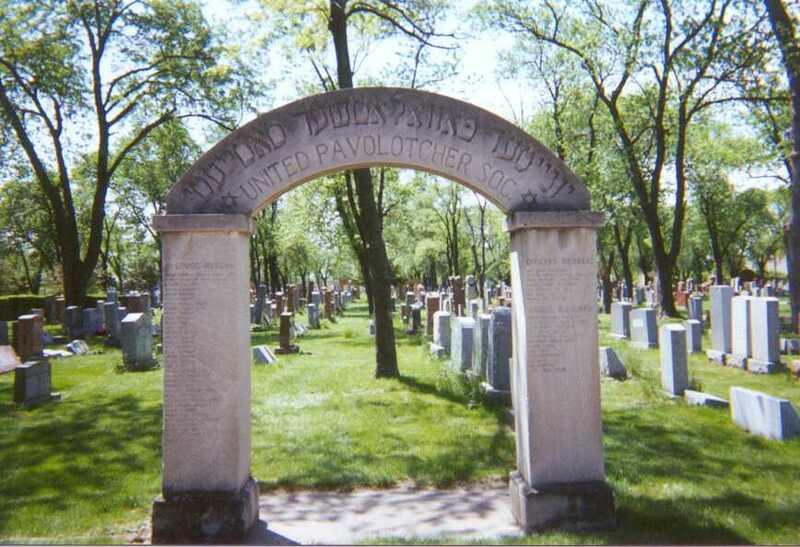 There is no information on Jews living in Pavoloch after World War II. (EJ) No Jews live there today. a town north of Pavoloch and birthplace of Chai Mendel Bordonsky Fischer. 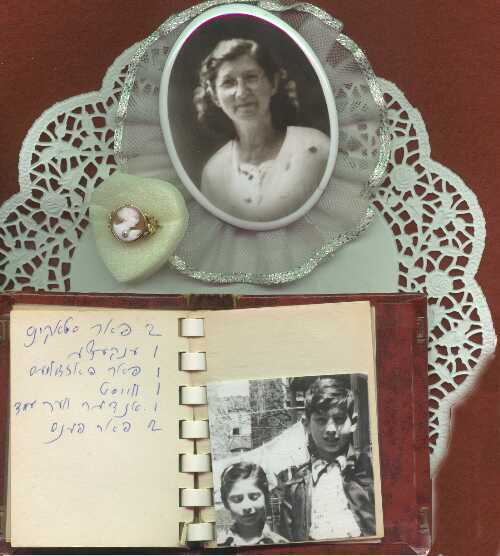 This photo was seen for the first time on this website by Lisa Cooper's father who recognized his mother Pearl Unikow on the left. Anita Rosenberg c. 1907 Samovar from Pavoloch (1870) Bubbe's shopping list. available on Amazon.com and in Israel at Urim Publications. available at Hamokor Judaica, 4150 W. Dempster, Skokie (847-677-4150). Click here to read a poem from Richard's Book. EDRD-Every Day Remembrance Day: A Chronicle of Jewish Martyrdom, by Simon Wiesenthal, Henry Holt, New York, 1986. GYLA-A Guide to YIVO's Landsmanshaftm Archiveby Rosaline Schwartz and Susan Milamed, YIVO Jewish Institute for Jewish Research, 1986. LDL-Latter Day Leaders, Sages and Scholars by Emanual Rosenstein and Neil Rosenstein, Elizabeth, N.J., Computer Center for Jewish Genealogy, 1983. Click here to see an excerpt. The Pavolitch synagog now a museum. 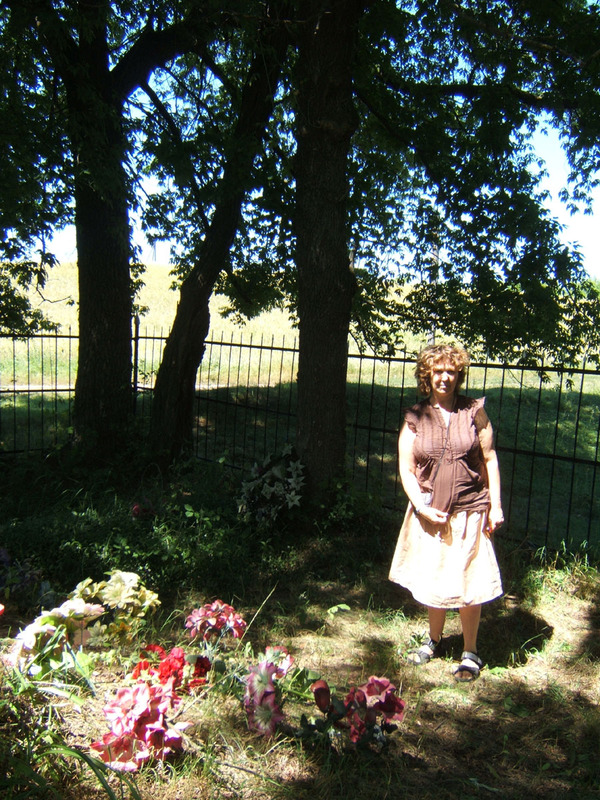 "The Breadbasket," and many lovely pictures of Pavolitch from her recent visit. 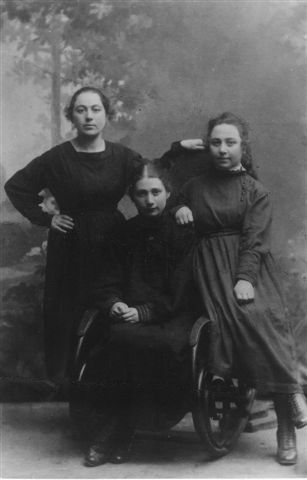 Three sisters: Pearl, Rachel, and Sarah Unikow (seated). Meyer Unikow, Pearl, Sarah, sisters Maryam and Bassy (behind him). 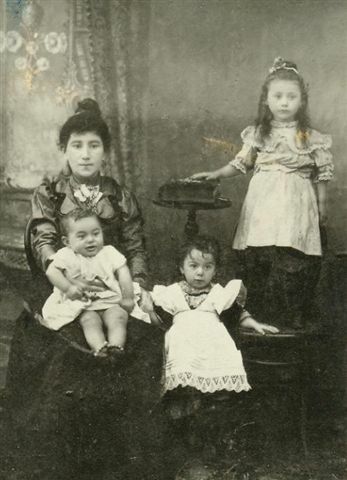 Ettie Leah Unikow, son Nathan (baby), daughters Pearl, Sarah (standing on chair). Would you like to connect with others researching Pavoloch? 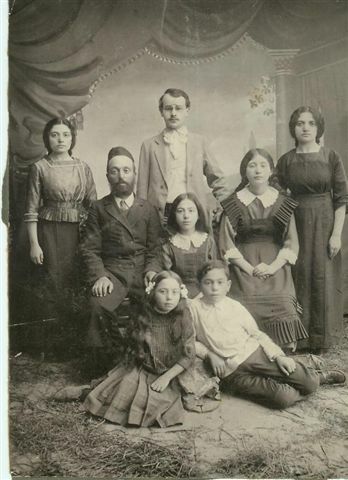 Click the button to search the JewishGen Family Finder database. Use your browser's "back" button to return here. Enter your surname. Use your browser's "Back" button to return here. Currently there is no known Yizkor book for Pavoloch. The Jewish Fund of Ukraine (JFU) aims to strengthen the Jewish community in Ukraine through programming in the fields of Jewish education,culture, social welfare, community development publications of Jewish books and international networking. 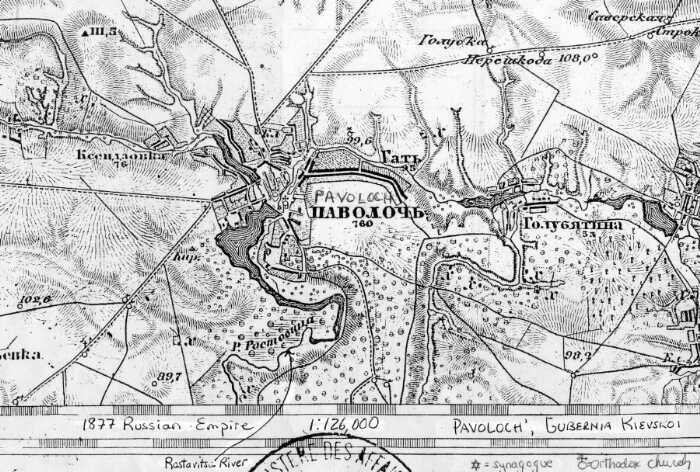 Babyn Yar (Babi Yar) - Within a few days of capturing Ukrainian cities like Lutsk, Zhitomir (about 30 miles NE of Pavoloch) and Berdichev in the summer of 1941, over 33,000 Jews were killed in this natural ravine formed during the Ice Age and near an old Jewish cemetery. Click here to find out what census records Richard Spector (2007)has located. Click the back button to return here. 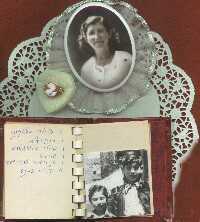 Cyndi's List of almost 60,000 genealogical sites on the internet. or to Join our SIG. 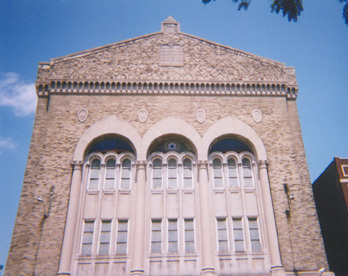 Updated by CLK 3, February 2015 Preserving the past for the future.